Joseph F. Kennedy’s family has faced many, many unfortunate deaths. Those who passed away are believed to be part of The Kennedy Curse. 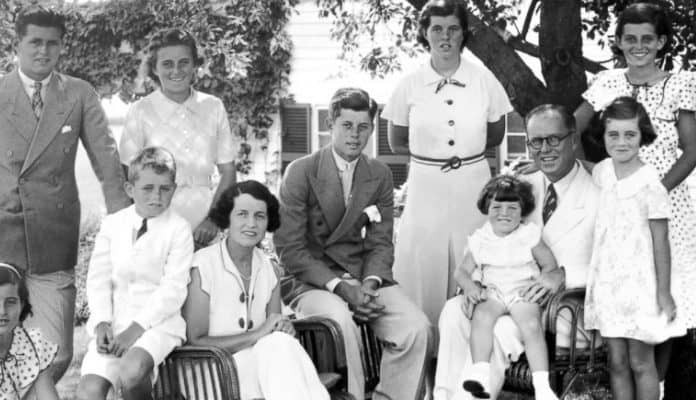 Joseph F. Kennedy and his wife Rose had a large family with nine children. Of those nine children, four passed away at a young age, and one faced an intellectual disability that resulted in institutionalization. Not only did Kennedy’s children fall victims to The Kennedy Curse, so did many grandchildren. All the victims have passed away from a number of reasons such as cancer, skiing accidents, scandals, and more. As with any theory, some skeptics believe there is no curse. Skeptics are quick to point out that the Kennedy family is large and a number of them have faced no misfortunes. Another disbelief in the curse is because many members of the Kennedy family have high-risk careers that lead to scandals and addictions. Below are victims of The Kennedy Curse and the unfortunate events that took their life. Continue reading to understand why The Kennedy Curse is a topic of discussion. Portrait of Rosemary Kennedy. The Spectator. Rose and Joseph Kennedy were excited for the birth of their first daughter, whom they named Rosemary. However, the labor experience was something Rose could have never imagined. Rose went into labor so quickly that Rosemary started her journey into this world before the doctor could arrive. As directed by a nurse, Rose held her legs tight together to prevent the birth from happening. Unfortunately, this cut the oxygen supply to Rosemary and is believed to be the reason for her intellectual disabilities. As a child, Rosemary was described as quiet. Until she began displaying mood swings and gait issues. The mood swings were so violent that Rosemary became rebellious and uncontrollable. To control the mood swings, doctors decided to give Rosemary a lobotomy. Rosemary went through the lobotomy in 1941. At that time, the procure was still new. As a result, they believe too much of her brain was removed. At the age of 23, Rosemary was no longer able to control her body; she couldn’t speak, walk, or even urinate. Rose and Joseph placed Rosemary in an institution and hid her from the public. It was not until 20 years later that the public was made aware of Rosemary’s story. Rosemary’s life continued in the institution until 2005, when she died of natural causes.